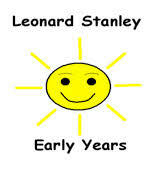 LEONARD STANLEY EARLY YEARS provides care for children aged 2-5 years. For more information call Vicki Richardson on 01453 827681 or visit their website. FOLSS (Friends of Leonard Stanley School) are a PTFA and registered charity run by a dedicated team of volunteers, who give up their time for free to fundraise for the benefit of the children at Leonard Stanley C of E (Aided) Primary School. We actively fundraise to provide play and school equipment, pay towards school trips, solely fund the school swimming pool and put on events for parents and children throughout the year. We were founded in 2002 and we have grown to become a real financial asset to the school, and we are continuing to raise more money year on year, which is a credit to all of you who donate your valuable time and money to our organisation. All this is achieved by participating in the many varied events we run and projects we manage. We have a core of committee members and volunteers who make up FOLSS. Annually we have to find £5,000 to pay for the baseline funding needs of the school (PGL coaches, running the school swimming pool etc). Details of which can be found in the 'What we Fund' section of our website. Any additional funding we raise then goes to help support 'funding requests' applied for by staff via our Funding Request Application Process. For the running and management of the Village Hall. Click Here for more information. The Women's Institute (WI) provides the opportunity to enjoy monthly meetings with a variety of interesting speakers. Also friendly gatherings for craft, walks, skittles, Scrabble, whist, Croquet, regular pub lunches, and occasional outings. County events give enormous scope for members to further their interest in a wide range of crafts, in cookery skills, community and environmental affairs, musical events, and outings beyond the scope of local branches. Friendship and fun are to found in membership, all on your the doorstep. Meet on the second Monday of each month in LS Village Hall. The Welfare Trust manages Leonard Stanley's allotments and is a charity administered by five Trustees. The Trust receives rent for three areas of land at Gypsy Lane - an agricultural tenancy, a grass keep and the 72 plots. Money received by the Trust is distributed, on application, to college and university students from the village in their first year.